Oldtimer, classic car, muscle car... whatever. We will preserve as much as possible from original parts. We will work on complete restoration, more like complete renewal of the vehicle. That will ensure longer life and extended durability. 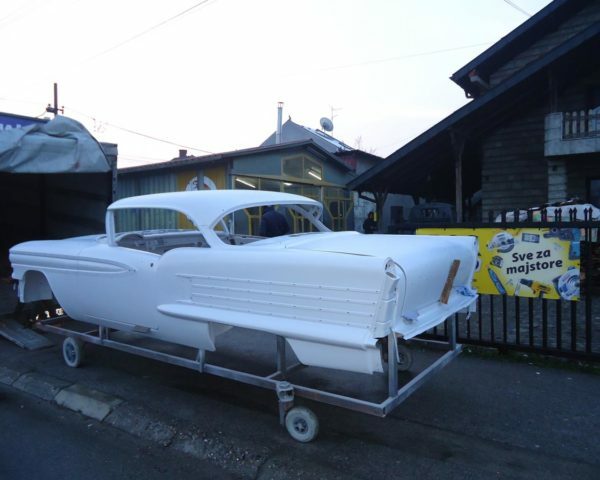 Oldtimer and classic car restoration is a complex work. It includes a lot of craftsmanship and needs extensive knowledge on specific details for each model. Our experience comes from almost five decades spent in workshop. Our team "was there" in all situations - there is no possible surprise. All the works on the car body. Complete suspension and all necessary work on chassis. High quality painting with all preparation works. We just want to show what we can do. And it is a lot. We have worked on huge number of cars. From minor scratches and small body works up to heavily damaged vehicles.